Sunny Days…… What’s My Age Again? We all grew up on Sesame Street didn’t we? I loved it when I was a toddler then back in my teens I went back to it. I had one of the original Tickle Me Elmos at the age of 16. Teenage hijinks oh my god how much fun was it to line them all up in the toy store then set them off all at once! Um… What’s my age again? 20 odd years on I still haven’t grown up and I still think Sesame Street is cool, lucky for me I work in an environment where I can get away with wearing it. 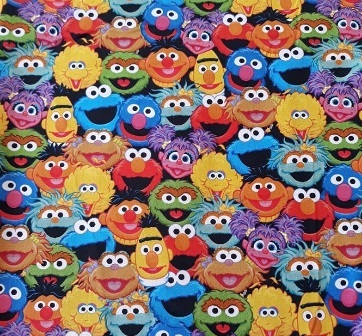 Last year Rubyjam fabrics stocked a Sesame Street cotton lycra, it was very popular and I kept meaning to check if it was in stock whenever I browsed the shop but I kept forgetting. Towards the end of the year it was announced they were no longer going to stock it so I jumped online and purchased some. This was fabric I needed. I could only get 1m of it but I knew that was enough to make some kind of skirt from. I do have knit skirt patterns which use only 1m but I kind of had my heart set on making a Turner skirt from this. I like how the Turner skirts flow and I thought this fabric deserves to flow and be a feature. 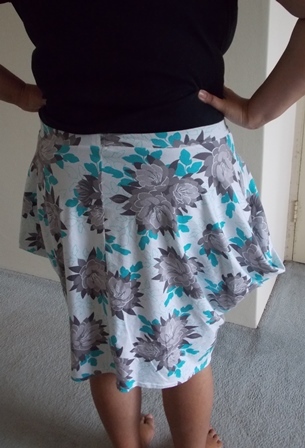 To make my skirt I improvised and teamed the print up with a black solid that I also had gotten from Rubyjam. The characters are floating on a black background so teaming it with a black fabric didn’t look out of place. If you haven’t read in my previous posts a Turner skirt is a pattern hack of the Turner dress by Cashmerette. I first saw someone do this pattern hack on the Cashmerette Facebook group last year and instantly fell in love with it. Turner skirts are really easy to make using the skirt portion of the pattern you just cut a front, back and self draft a waistband by measuring the top of the skirt. This is now Turner skirt number 5 which shows you how much I really do love the pattern. For the hem again I did a simple 3 step zig zag stitch after folding it over half an inch. 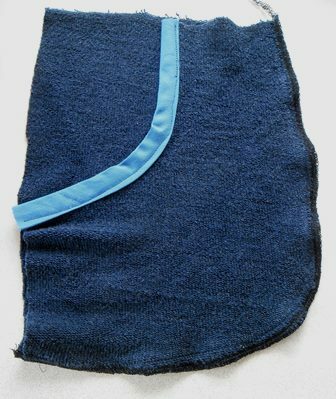 I read this tip in A Beginner’s Guide To Sewing Knitted Fabrics, this is now my go to way to hem knits whether it be a skirt or arm sleeve. The black thread is hardly noticeable on this and disappears into the print. When it came to cutting the waistband I did have enough of the print fabric leftover to cut the waistband from it but looking at the size scrap I had I thought this is a usable size piece. I might not be able to make undies out of it (I do draw the line on my age limit wearing them too) but the piece is big enough for kids undies or t-shirt front so I bagged up my scraps to take to a Sydney Spoolette Swap day we had coming up. I’m trying to be more conscious in my sewing and instead of just placing my pattern pieces anywhere on the fabric I’m trying to think about the best way to get the maximum use out of the fabric and reduce waste. 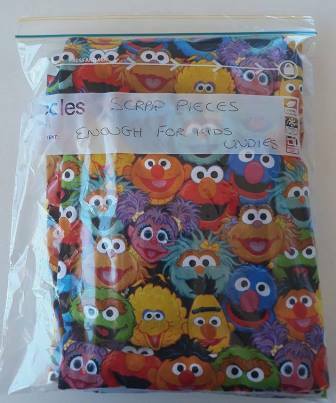 If I am going to have scraps in my stash I want them as a useable size or I know I will never use them up, I’m happy to pass on my scraps to anyone who can use them too. This scrap bag went to happy home and I do believe a lucky kid is getting undies. 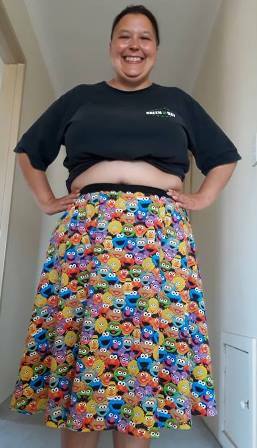 I work in a paediatric hospital so this skirt is very appropriate for my workplace. I even had a staff member whom I’ve never talked to before stop me to ask where I got my skirt from. When I told her I made it her response was “I knew you were going to say that” I love that I can make my own unique one off pieces of clothing, particularly in fun fabrics. 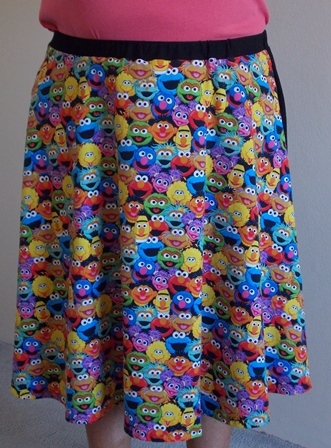 Who says adults can’t wear Sesame Street! 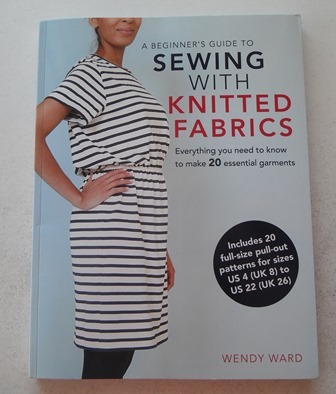 Last year after getting A Beginner’s Guide To Sewing With Knitted Fabrics by Wendy Ward I set myself the personal challenge to see if I could sew my way through the book. I never set myself any time limits to do it, it was more just something I was going to do over time and enjoy the process. I can happily say I made the last item from it in December so challenge completed in 2018. I didn’t sew them in the order listed but I did make them all. Some I made multiple of, some I made additional versions that were in the book. 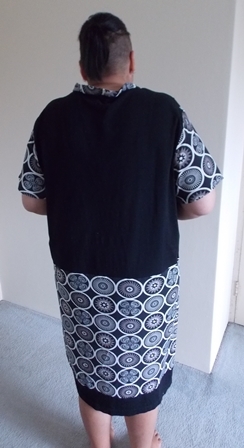 For top / cardigan patterns I used the largest size pattern, for skirts / pants I used the 3rd largest size. This was the first item I made. My first intention was to make it in the navy fabric but I didn’t buy enough fabric and couldn’t get anymore so I brought the teal fabric and made it in that. I was able to make the blue version after being a little creative with a remnant piece that was in my stash. This is sew comfortable to wear and I wore both of them lots last year. This was such an easy pattern to make. I love the pockets! 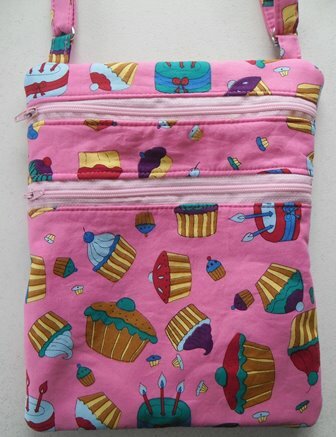 I do want to try making this again but I’m going to see if I can add a zipper to the front. This was the second item I made. The pattern is a really simple t-shirt. I used some cotton lycra from stash. This became my gym shirt last year. It is a little bit fitted around my neck but it isn’t uncomfortable. If I was to make this again or should I say when I make this again I’m adding a little extra to the neckband particularly if I use a firmer lycra. 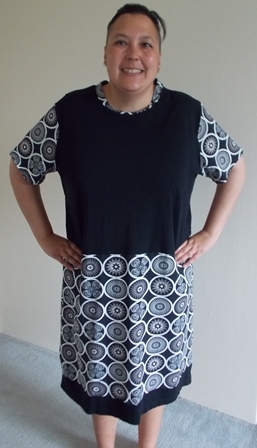 Later in the year I made the t-shirt dress variation which is also in the book. I wore the dress a lot last summer and will continue wearing it this winter. This is my go to t-shirt pattern now. This top isn’t fitted so I could possibly go down a size in it particularly if it is softer knit. This was the third pattern I tried. This skirt was a challenge not because it was hard to make but because my brain could not grasp the concept of how this was sewn until it was cut out and I had the fabric in my hands. I still call this my origami skirt due to the way you fold it to form the pockets and sew the seams. 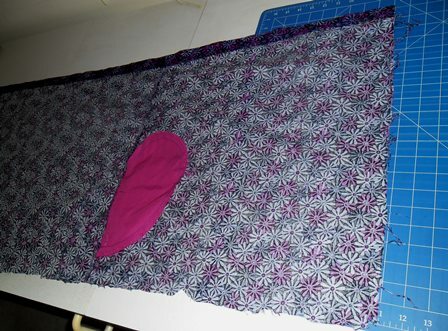 Don’t be afraid to try this skirt, try the brilliant instructions Wendy has in the book and will it come out fine. I used some fabric in my stash just to try out the pattern not knowing if I would like it. I’m not totally convinced this skirt is flattening on me, maybe due to fabric I don’t know. I think this skirt makes me look too hippy or bulky around the thighs. 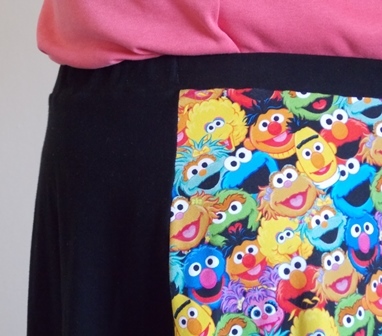 I don’t hate this skirt, the pockets on this are fantastic and I have worn it a bit. I would like to try this again in maybe a black or darker fabric. The fourth item I made using again some fabric from my stash. I had never used wide elastic before and wasn’t sure if I would even like it comfort wise but I love these pants. Because they are white I only wear these at home but I found myself wearing them a lot. The wide elastic doesn’t bother me as it is covered over with fabric. I do get confused which is the back and front of these (I don’t put tags in my clothing) either way I wear them they are comfortable. I do plan on making these again in black so I can wear them to work. The fit is amazing and I am really happy with these. Once again an easy pattern to make and a real great basic for your wardrobe. The firth pattern I tried was the basic tank top. I had some leftover fabric in my stash that I was planning on making a tank top with at some point and just had enough for it. This I would say is the easiest pattern to make in the book and a great one to start with if you were a real beginner and wanted to try clothing making. I lived out of this top last summer in Sydney as we had many hot days and it was really comfortable. After making the first top I made a black version last month which I wore to Frocktails but will also be my gym shirt for next summer. The fit of this top is brilliant. It isn’t revealing so I can exercise in it without feeling like I’m flashing everyone. I do need to add extra to the bands around the arms and neck as I am not too good with sewing bands on and to reduce puckering I need the extra length. I do have fabric to make another version of this. The final pattern which I made in December when I decided I would finish the book in 2018 was the shorts. I have made the most basic basic version of the pants. I have only worn them once or twice so far as it has still been too hot to wear them but I know I will wear them around the house this winter. They fit ok, they aren’t designed to fitted as such more just comfortable shorts which they are. I would make this pattern again and maybe try the version with pockets. I am pretty proud of myself sewing my way through the book. It was fun to do because it is a great book. The minute I saw this book was coming out I pre-ordered it as I just felt I was going to like the book and I don’t like it… I love it! All the patterns are wardrobe essentials that you need. 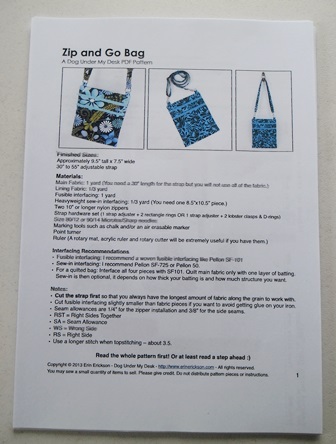 The different versions of each pattern in the book allow you to make version that is for you. If I had to pick a favourite pattern it would be the Winnats tank but they are all great patterns and I want to try all of them again using different fabrics or techniques. It isn’t just the patterns that make the book great but also the explanation of sewing techniques, the knowledge I picked up from this book I have used in making other patterns. This book really boosted my sewing confidence last year and helped expand my me made wardrobe. 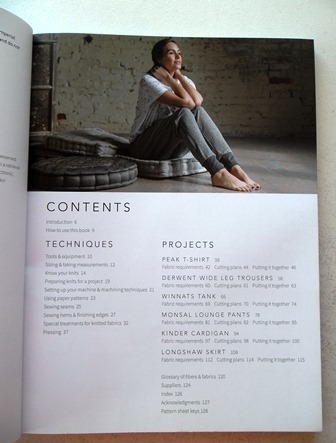 The last pattern I was still yet to make from A Beginner’s Guide To Sewing Knitted Fabric was the Monsal Lounge Pants. I had some French terry fabric in my stash which I thought would be perfect for these. As I am not liking longer pants unless they are tights I decided to make shorts. My first intention was to make them with pockets. Silly me didn’t read the instructions properly when tracing out the pattern and I traced out the version that didn’t have the pocket area cut out on the front pieces. I thought no problem there is a way around this instead of having inside pockets I will put patch pockets on the outside. When I started sewing these was when I had my overlocker issues. I did get my overlocker working eventually by a lot of rethreading from scratch. On the upside I don’t find that side of overlockers scary anymore. 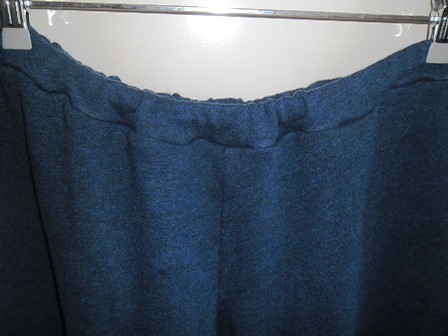 I made the pockets but once I went to attach them to the front of the shorts I realized that my overlocker which was still temperamental was going to struggle through the bulkiness of all the fabrics so I opted not to put the pockets on. I’m happy that I was able to work out how to make the pockets to be patch pockets, the above picture is what they looked like before I turned the pockets the right way out. 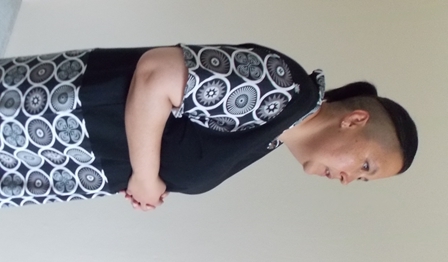 My sewing curves on the overlocker is improving. In the end I made a very basic pair of these shorts. I’m going to be wearing these at home so pockets are not essential. I’m happy with the finished pair. As mentioned these are very basic shorts but they fit and aren’t too big or small. 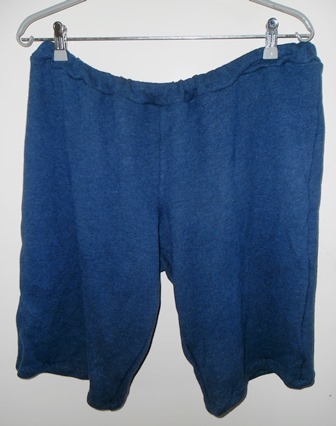 The waistband on these make them very comfortable. As the fabric is a little bit thicker these are winter shorts, in summer in they would be way to hot but in winter just perfect. I do like this pattern and if you read all the instructions and trace out the pieces correctly they are a very simple pair of pants or shorts to make. Would I make this pattern again? I think so. I made this table runner for a friend to place on her cabinet after she threw out her old one. She didn’t care what it looked like as long as it was purple. 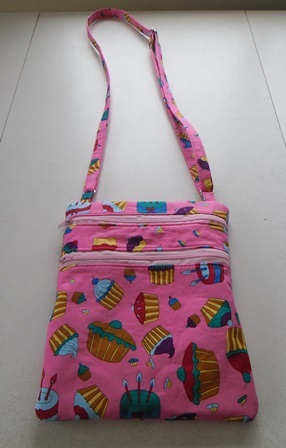 I hadn’t been sewing for a while so thought it was the perfect project to get me sewing again. 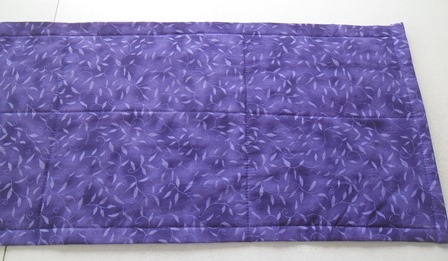 I raided my stash for purple fabrics I had on hand so I could get in and make this project whilst the sewing urge was there. Construction wise it is just the backing fabric, a layer of cotton batting and the pieced top. For the quilting I first went in the ditch where I had pieced the top and then just eyeballed where to do place the other quilting lines across from there. Again just eyeballing it I went down the centre of it once. 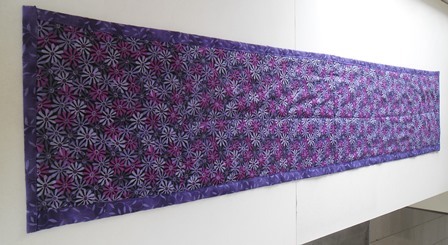 After it was quilted I folded the backing fabric over to form a front border and stitched it down. This was a nice easy no fuss project to do. 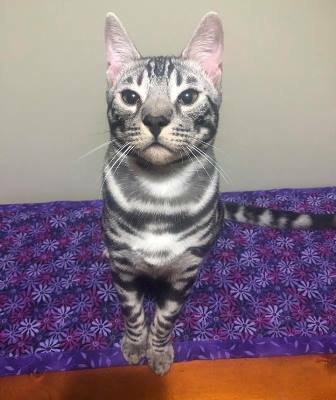 I posted it up to my friend and it seems it got the approval from the important members of the house. I don’t make a lot of homeware accessories but this was fun to do. 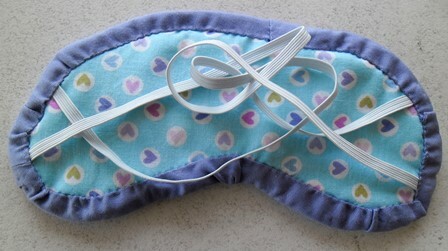 Sleep eye masks were something I had been wanting to make for many years. Very early on one of the first sewing books I brought had a pattern in them and from that point on I thought yep one day I will get around to it. 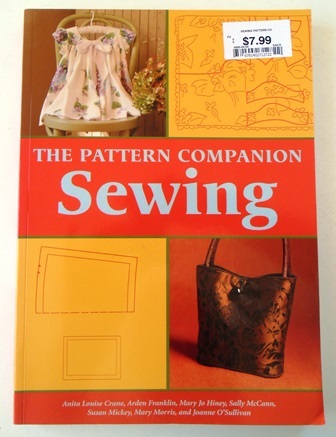 The book I brought was The Pattern Companion Sewing. It has a variety of patterns in it from toys to clothing to accessories around the house. 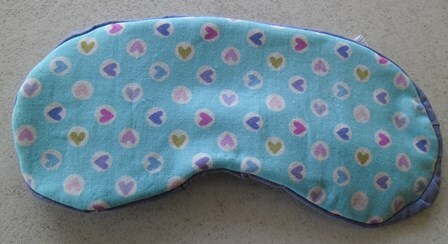 To be honest a lot of the patterns in it I wouldn’t make but it did have an eye mask pattern in it. It is an interesting little book to flick through if you ever come across it. I was looking at making one for myself but decided they would be great to add into some charity bags I put together each year for Share The Dignity which is a charity that supports homeless woman and woman who have come from abusive relationships. At the start of each year I start collecting items (toiletries, personal care items etc) so by the end of the year I have several bags full of items to donate. 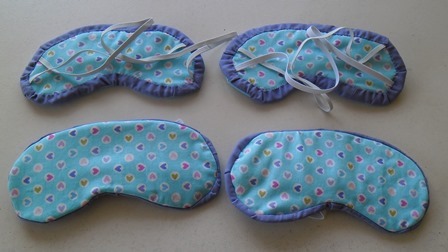 I thought eye masks might be something useful if someone is staying in a shelter or sleeping in a place where it may not be as dark as you want it. This was a complete stash busting project. The front and back fabrics were offcuts from a gift last year. The elastic came from my stash and the binding was from some fabric I am using this year that just happened to be close as I was making these so I grabbed it. The batting used inside them was also an offcut I found in my stash. These were very simple to make, I hand stitched the binding in place after I stitched it to the front with machine but this didn’t take very long. Hand sewing is something I casually do in front of the tv. I’m glad I finally got in and made these. I use mine often now and hopefully whoever gets the bags this year I put together gets use out of it too.